Discussion in 'Music Corner' started by George P, Dec 12, 2014. Now listening to "Elgar - Cello Concerto/Delius - Cello Concerto/Saint-Saens - Cello Concerto No. 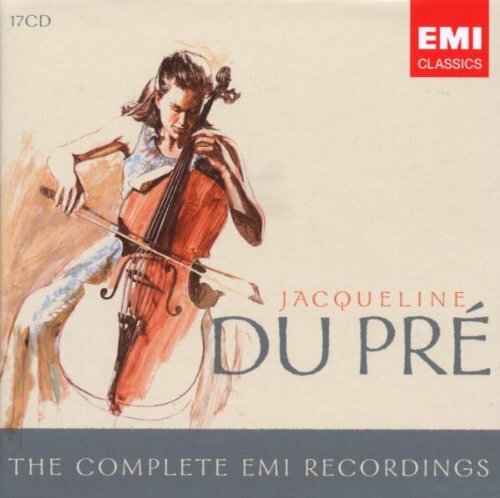 1" from the "Jacqueline Du Pre - The Complete EMI Recordings" box. 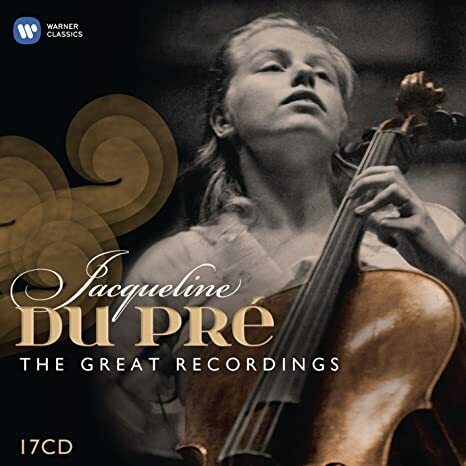 Now listening to "Beethoven - Piano Trio in E flat WoO38 & Clarinet Trio in B flat/Couperin - Les Gouts-Reunis" from the "Jacqueline Du Pre - The Complete EMI Recordings" box. I've worked on the clarinet part in the trio. The first movement is good; the slow movement is lovely; the third movement doesn't do much for me. I read somewhere that Beethoven felt he should have written another movement. He seems to be in his woodwind phase about then In addition to the trio (Op. 11), you have the quintet for piano and winds (Op. 16) a sonata for piano and horn (Op. 17 I think) and the septet (Op. 20). After that, not so much. Could anyone identify the piece that's playing in this clip? RhodesSupremacy, Hawkman, Robin L and 1 other person like this. While Steinway does not quite hold the monopoly as in the past, it's still the primary choice. I'm starting to see more Fasoli pianos, too, and they sound excellent. They do, but my impression is that they tend to be voiced somewhat more brightly. Steinway's "monopoly," I think, has always been strongest in the United States; in Europe, Steinway, courtesy of the company's Hamburg branch, is a frequent choice, but so are names like Bechstein, Bosendorfer, and (in France) Pleyel, among others. The "golden age" pianists were particularly partial to Bechstein, I believe. Of course, during that period in the United States Mason & Hamlin had its following, and Baldwin was always a contender as well, although neither achieved the omnipresence of Steinway and both eventually fell by the wayside. Various successor companies have tried to bring back Mason & Hamlin in recent years with, I gather, somewhat indifferent success (commercially; supposedly the new M&H instruments have been of high quality). Probably didn't help Mason & Hamlin that it was part of the Aeolian empire, for years sort of the "sick man of the piano industry." Now listening to "Beethoven - Piano Sonatas Nos. 8, 10, 12 and 13" from the "Aldo Ciccolini - Enregistrements EMI 1950-1991" box set. john greenwood and Mik like this. Mik, EasterEverywhere, bluemooze and 1 other person like this. I attended the concert by the ASMIF at Carnegie Hall with Iona Brown conducting in the mid 80's. Who was the conductor at your concert with the ASMIF? She led the ensemble from the concertmaster's chair...what a finely tuned machine that group was that night. I don't listen to a lot of classical music in general but I go through phases where I listen to it a lot in a short time. Somehow it seems to be confined to wintertime and especially during the early months of the year. Have no interest in vocal or opera, but do listen to orchestral & chamber music with a bit of choral music on the side. Periodwise I have found that my ears like music made post Brahms and I have an avid interest in music from the British isles. My most recent purchase is below disc, gorgeous music with one of my favourite soloists (Tasmin Little) and a composer whose smaller orchestral works I already knew but this is my first exposure to these three concertos. All three of them are rhapsodic in nature and are really lovely. Sound of this particular album is, as far as I can tell with my limited knowledge of hi-res audio / playback through my SACD 2.0 player , exemplary (for the tech geeks: recorded in DSD, 5.0 channel surround and stereo, hybrid SACD). Gee, did anybody welcome you to the thread? I guess your post got lost in a fast-paced bit of discussion. So: Welcome! Can't say that I'm the world's greatest Delius fan, but I think of his works I've heard I like the piano concerto best. Since you're listening to other Delius concerti, you might want to check that one out. Oh, and if you have any interest in historical recordings, look up some of the Delius ones led by Sir Thomas Beecham. Back when nobody else was paying much attention to this composer, he went to strenuous lengths to put him on the map and more or less set the standard for all who followed. Thanks and yes, I do know the Delius PC but somehow these string concertos really speak to me right now. She led the ensemble from the concertmaster's chair...what a finely tuned machine that group [ASMIF] was that night. I heard them once in concert, and I fully agree: regardless of whether it was the most "exciting" or "dynamic" group I've ever heard, their sense of ensemble was absolutely uncanny. Meet them on their own terms, and they were a real marvel and made terrific, healthy music. Just add a tube cage and problem is solved. True. Except I would have expected the manufacturer to do that. Who was the manufacturer? Cayin? ... somehow these string concertos really speak to me right now. 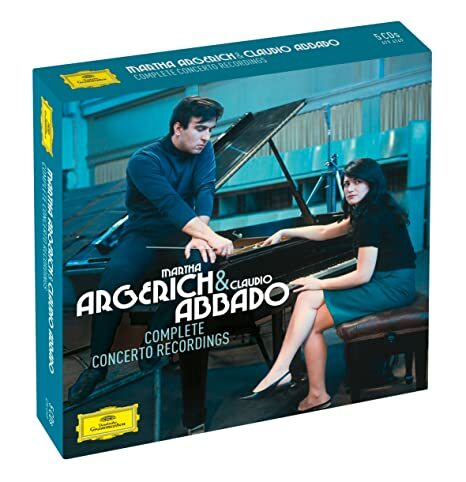 Same here, though I have only couple of his cello concerto recordings (du Pre & Lloyd Webber). I have this set! I wanted to get something by her after seeing the film. I emailed Clayele Dalferes at WQXR since I was familiar with her from her days at WNCN and then WQXR here in the NY/NJ area. She suggested this to me. I still haven't heard the whole thing but the discs that I have heard are wonderful! You might want to check out some of Christopher Nupen's videos. This is the one I have. I bought it for "The Trout." It's from 1969 IIRC and features a performance of Schubert's Trout Quintet by Du Pre, Barenboim, Perlman, Zuckerman and Zubin Mehta (on bass). ...I bought it for "The Trout." It's from 1969 IIRC and features a performance of Schubert's Trout Quintet by Du Pre, Barenboim, Perlman, Zuckerman and Zubin Mehta (on bass). I have that on laserdisc! Is T+A a German or a Dutch company? It's often one of my recommendations to people who want to get into classical music. The piece, itself, is a great introduction, and you can feel the joy and enthusiasm shared by the performers. It is not the greatest performance in the world (not sure how much actual rehearsing went on), and the sound is what you would expect from a 1960s TV documentary, but sometimes that doesn't matter so much. Do you still have a working Pioneer or Toshiba laserdisc player?